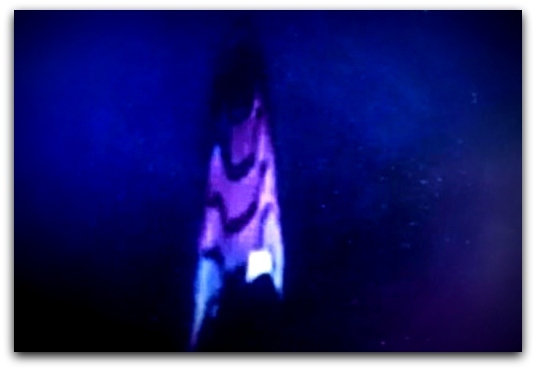 As reported on Disclose.tv, UFO watcher Toby Lundh provided the website a still photo of an unidentified object that appeared in NASA’s live feed Jan. 6, 2015, near the International Space Station.. Lundh exchanged text messages with Disclose.tv and said the live feed stopped after the object appeared. Photos taken by NASA’s space shuttles, stations and rovers have always made for good fodder for alien conspiracy theorists. According to Disclose.tv, veteran UFO hunter Toby Lundh spotted what he determined was an unidentified flying object just outside the space station as he was monitoring the live feed on his laptop. In a text-message conversation with Blake at Disclose.tv, Lundh said he was sending a couple screen shots he took from the live feed before it was interrupted after 10 to 15 seconds. According to Lundh’s text messages, he has found through persistent viewing that there are always some UFOs showing up.” Likewise, he said, NASA always cuts the feed when a UFO gets close to the station. UFO watchers claimed to see some object outside the space station during an Oct. 7 space walk by astronauts Reid Wiseman and Alexander Gerst. NASA did not immediately return a call for comment.